The Hallgrímskirkja is a Lutheran (Church of Iceland) parish church in Reykjavík, Iceland. 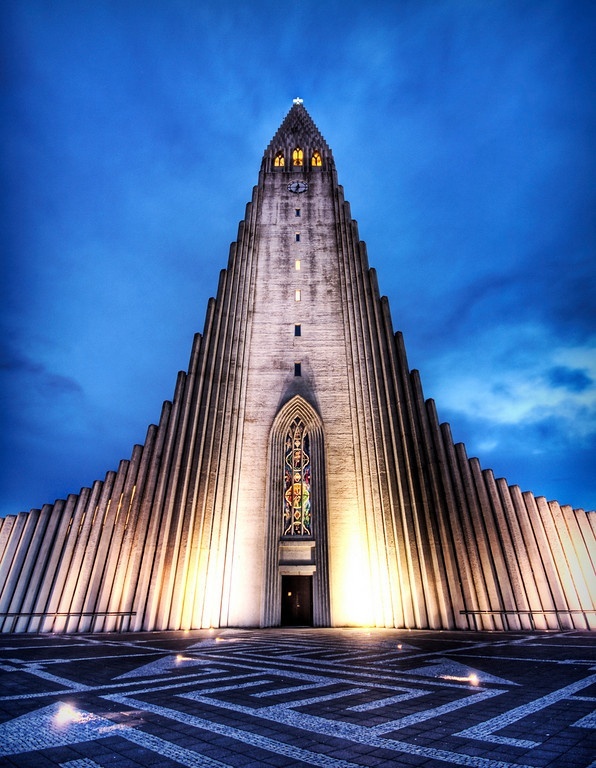 At 74.5 metres (244 ft), it is the largest church in Iceland and the sixth tallest architectural structure in Iceland after Longwave radio mast Hellissandur, the radio masts of US Navy at Grindavík, Eiðar longwave transmitter and Smáratorg tower. The church is named after the Icelandic poet and clergyman Hallgrímur Pétursson (1614 to 1674), author of the Passion Hymns.